I love to experience the edge of my beliefs in myself. I love to explore my boundaries—then continue through in order to break out on the other side. I love to experience my body in nature in all of the elements. To experience my emotions, thoughts and truth through physical and spiritual practice. I love the freedom that comes when I move through places in my life that I thought were impossible. In the Japanese Tradition of Sho-Kai (The Energy of Water), Earth is our dojo. That means wherever I am, that is my studio, my classroom, my temple, my place of practice. There have been days when I was crawling through the wet grass, dragging myself through the mud and pushing my body to the limits, only to roll over and look up and find myself doing crunches beneath a beautiful double rainbow. 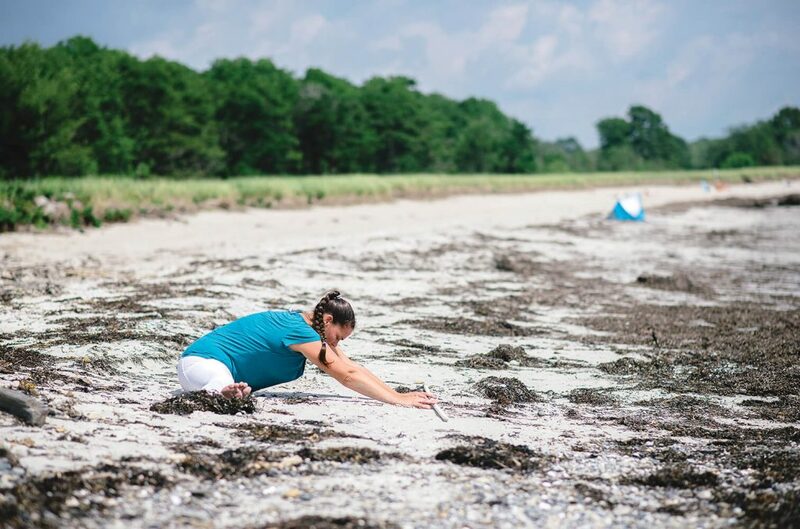 The raindrops, the sweat, the smell of the wet grass and the earth smeared all over my body are all part of the practice and add to the physical experience of being grounded, connected to the earth and feeling alive. There are limitations of the mind, and Master asks me to see them and to move beyond them. I have found myself hanging from trees for what seems like an eternity…he encourages me to practice not letting go when my mind says to, but allowing my body to find its inner strength to keep going. Sometimes I find myself standing on beautiful mountains, moving and breathing with the wind. I find myself standing solidly on wet rocks at the edge of the ocean as waves pull and push me. Sometimes I find myself balancing where I never thought I could, yet looking out at the beautiful colors of sunset reflected in the water. When I am complete with each lesson, and when I am complete with the day, I feel calm, peace and an inner strength that is incomparable to anything else. 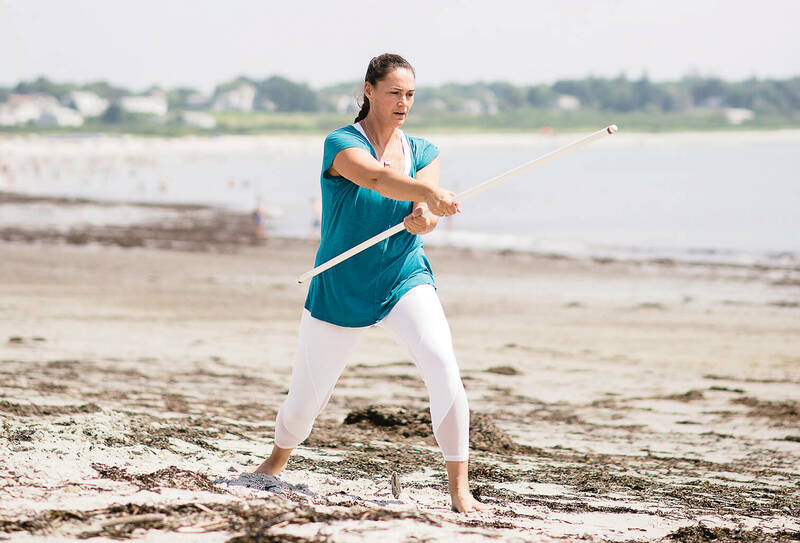 Jaclyn Ouillette lives in Cumberland and is an energy worker, body worker, teacher, retreat leader, black belt and martial arts instructor and mother. She loves exploring the wilderness and outdoors and expanding her edges. 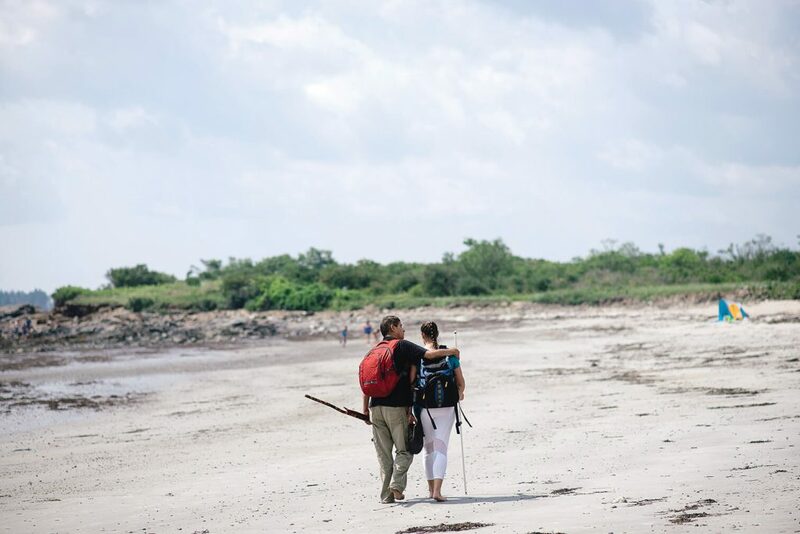 Her goal is to empower women through wellness practices, martial arts and wilderness. See more information on her website wildernesswisdomjourneys.com. We want to know what makes you feel fantastic, powerful, on top of the world. And we’ll highlight you in these pages. Email MWM editor Shannon at sbryan@mainewomenmagazine.com.